Construction or maintenance activities in public spaces carry with them a measure of risk to public safety, and that’s why we have safety regulations in place to help protect not only the workers involved but also residents, workers and other passers-by in the vicinity of such sites. However, as one short but tense incident in San Francisco on Friday and another longer-lasting and more consequential incident nearly a year ago in New York City demonstrate, even the best intentions of regulations may not be enough to stave off potentially devastating accidents related to construction or maintenance work. Fortunately for those people who were impacted by Friday’s suspenseful dangling of a window-washing platform in San Francisco’s Financial District, the drama that unfolded didn’t get to the point that anyone was injured. According to a report filed by KGO News, the local ABC affiliate in San Francisco, the window-washing rig was seen to be hanging unsafely from the 41st floor of a 45-story building at 301 Clay Street at 7:02 a.m. As a result, traffic was blocked on Battery Street between Clay and Sacramento streets and several floors of the building impacted by the errant rig were cleared of workers. Understandably, nerves in the neighborhood were on the jangled side until the rig was finally secured when it was pulled over the top of the building at about 10 a.m. No one was inside the rig, and firefighters believe it did not have a secure latch engaged when it started to go astray. While the Friday the 13th scare in San Francisco ended without anything bad happening, the story in New York City emanating from the collapse of a construction crane in the wake of Hurricane Sandy nearly one year ago has been far more momentous. As the hurricane’s 80-mph fury raged through New York City on October 29, 2012, the construction crane at a 90-story apartment high-rise being built on West 57th Street snapped backward and then began dangling perilously over Midtown Manhattan for the next six days, compelling the city to shut down two city blocks and order the evacuation of thousands of area residents and workers. Residents and workers were allowed to return to the affected neighborhood six days later after the city and the crane owner slowly managed to tether the crane to the building. The drama over Halloween week last fall in Gotham impacted far more people for a much longer period than the Friday incident in San Francisco, and it has since triggered legal action. The first of several cases of litigation involved two dentists whose dental practice was in the same block as the ill-fated construction crane and who have sued the crane’s owner for allegedly causing them to lose one week’s worth of business due to the crane mishap. The nerve-jarring construction-crane collapse in New York City is an extreme example of a large number of people whose lives have been upended for a protracted period. 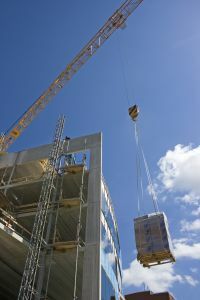 Regardless of the scope of any such incident, San Francisco attorney Gregory J. Brod is experienced in the practice area of construction accidents and urges anyone who has been injured or otherwise adversely impacted in a construction-related accident to contact him at the Brod Law Firm for a free consultation.